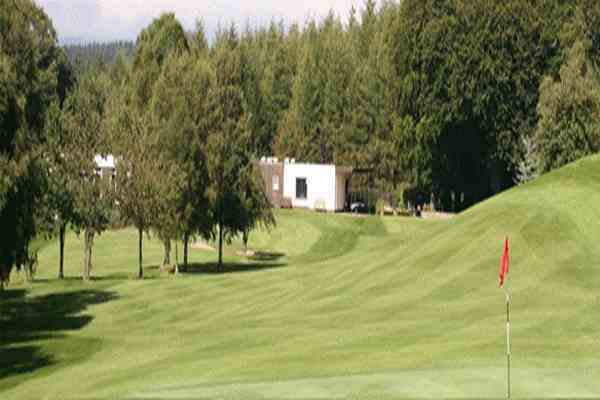 This is a northern Ireland golf course locator for golf courses in northern Ireland. It is not all the golf clubs that are here but a lot of them and enough to give plenty for selection. It lists Ireland courses that offer you choice in northern Ireland counties when it comes to finding one to play . We feature our own top nine golf courses by following the link so we will not be repeating these in the list below. Even if you are planning a golf travel package to Ireland it may give you some ideas on sights you wish to see in Ireland when you are visiting and golf courses that would be close to them. An 18 hole parkland course in Castle Coole estate. 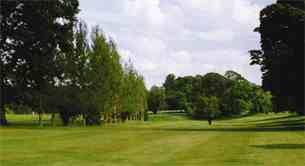 Attractive parkland course bordering Lurgan park and lake. Plenty of doglegs so you need accuracy. Portadown Golf Club offers a course of exceptional beauty and elegance, placed in a partial woodland setting. Conveniently located just 2 miles from Portadown and 20 miles from Belfast via the M1. Tandragee Golf Club is a tough yet picturesque 18 hole parkland course, set in the beautiful County Armagh countryside in Northern Ireland. 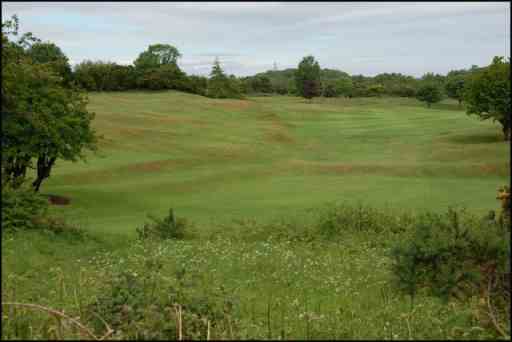 Omagh Golf Club is a fine parkland golf course. The course is located in typical drumlin countryside with the skyline of Dungannon town as a backdrop to the East. Fairways are wider than most throughout the course, the intention being to let the ponds, bunkers and course structure challenge the player and his skills. This is a fine parkland 9-hole course, very conveniently positioned at the edge of the village. Golfers coming to play at Fintona will be ensured a warm welcome and a pleasant round of golf. In the rolling parkland of Baronscourt, the ancestral estate of the Duke of Abercorn, the course is festooned with beech trees and wild life. The golfers will frequently encounter deer, wild pheasant, red squirrels and buzzards during their round. The course offers magnificent views of the Sperrin Mountains all contributing to an enjoyable and memorable days golf. 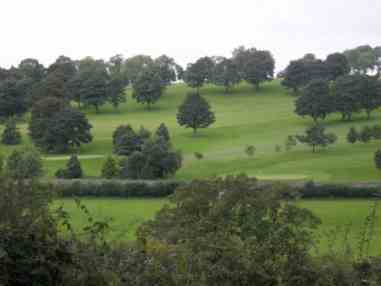 Strabane Golf Course is an exquisite 18 Hole Parkland course set in the foothillls of the Sperrin Mountains, 1 mile south of Strabane. 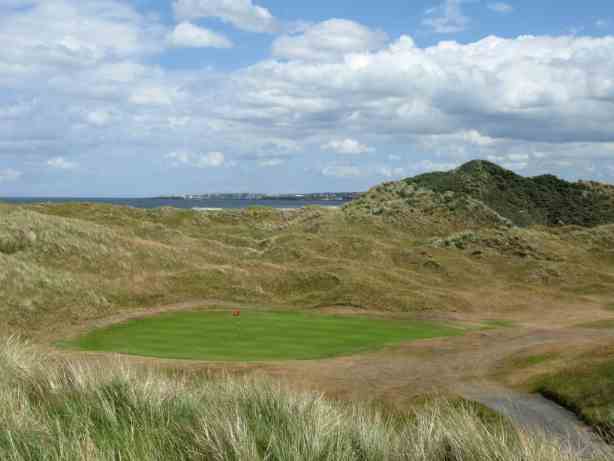 Portstewart Golf Club offers some of the best golf in the area with its three 18-hole courses. Parkland course that is part of a premier golf & leisure resort. Situated in the beautiful Roe Valley next to a country park. Lough Foyle and the Inishown peninsula as the backdrop. With impressive views of the wide sweep of the River Foyle with a back drop of distant hills this great course enjoys one of the most picturesque settings anywhere in the world. Founded in 1980 by Lord and Lady Moyola and opened by Seve Ballesteros, Moyola Park Golf Club is set in the beautiful wooded parkland of Shanemullagh, a Georgian House occupying 130 acres. Clandeboye Golf Club, situated in the country surrounds of Lady Dufferin's Estate, offers two courses of international standing.The original Clandeboye course played host to all the major Irish championships until the early 1970's. Perhaps most well known for being the home club of 2011 U.S. Open winner Rory McIlroy. He attributes much of his success as a golfer today to the course, stating "It was a great course for me to learn the game on, it has all the traits that develop your game from playing it regularly." Holywood G.C. has a parkland layout that overlooks Belfast Lough and the surrounding countryside. Designed by the legendary James Braid in 1934, Kirkistown Castle Golf Club is a true links course. Featuring elevated greens and elevated tee boxes, it is widely regarded as one of the best par-69 golf courses you are ever likely to play. Golf course locator suggests a long and demanding yet most enjoyable par 72 parkland layout. Feature holes such as challenging par 3 2nd, the classic 405 yard par 4 11th, or the 120 yard par 3 8th will test the skill of the most hardened veteran. Spa is however quite a relaxing venue with panoramic views from the 17th tee of the Mourne Mountains and also an abundance of resident wildlife. Adjacent to the Montalto Estate, Spa is certainly well worthy of a visit. Golf course locator highlights a course which is a unique golfing challenge in that it covers both parkland and links holes. 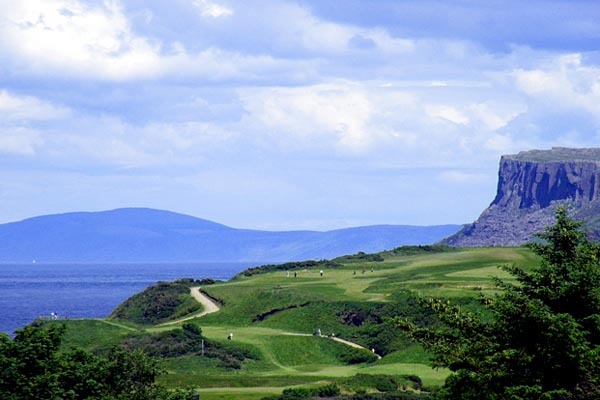 From hole six onwards you are presented with some outstanding links golf holes running alongside the strand and between gorse and sand dunes encompassing impressive views of the famous North Antrim Coastline, Scotland and the hills of Donegal. A warm welcome awaits you on challenging parkland course set in the Glens of Antrim. Lisburn Golf Club is set in over 130 acres of idyllic countryside and has a course layout second to none.This layout has been further enhanced with the planting of rhododendrons, azaleas, hydrangeas, cherry blossom trees and specimen conifers that make Lisburn the “Augusta of the North” in the springtime. It is widely considered one of the best parkland courses in Northern Ireland. Golf Course Locator suggests Shandon Park Golf Club is a gem of a parkland golf course, situated in the leafy suburbs of East Belfast, being located only fifteen minutes from Belfast city centre. Consistently regarded as having the best parkland greens in Northern Ireland, the course combines a tough championship layout with some beautiful holes and challenging greens. Parkland course. Considered one of the best inland courses with fair but tight greens. Lots of scenic views. The golf course calls for a variety of different shots and low trajectory shots into the blustery Atlantic winds. The layout meanders across a landscape of dunes, creating interesting elevation changes and the occasional raised green throughout the course. Another benefit of its links terrain is that it allows for year-round golf. Narin and Portnoo boasts an old-fashioned charm and stunning views of the bay. Golf Course Locator suggests Portsalon Golf Club remains one of Ireland's best kept secrets. This secluded golf course sits along three golden beaches with a backdrop provided by Lough Swilly. The links layout features dune-lined fairways and well protected greens. The fairways are also tighter than those you would normally find on a links course. In addition to the excellent round, the course is also memorable for its stunning views of the bay and the surrounding Knockalla mountains. Letterkenny Golf Club is one of the most scenic parkland courses in the North West. Situated in a magnificent scenic parkland setting, bordering on the shore of Lough Swilly, the course was originally carved out of natural woodlands. 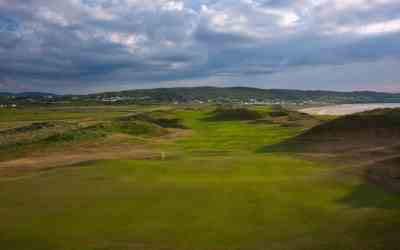 Presenting a challenging par 70, this golf course sweeps along the rugged and picturesque Donegal Bay coastline with a mixture of dunes and undulating terrain. With endless views of the Atlantic Ocean to the west and the magnificent Dartry Mountains to the east, you are blessed with 360 degree superb panoramic views no matter what hole you are playing. We hope you enjoyed this golf course locator list -So in addition to our own top nine these are another selection of fine courses to choose from-so enjoy your game whatever Northern Ireland course you choose.